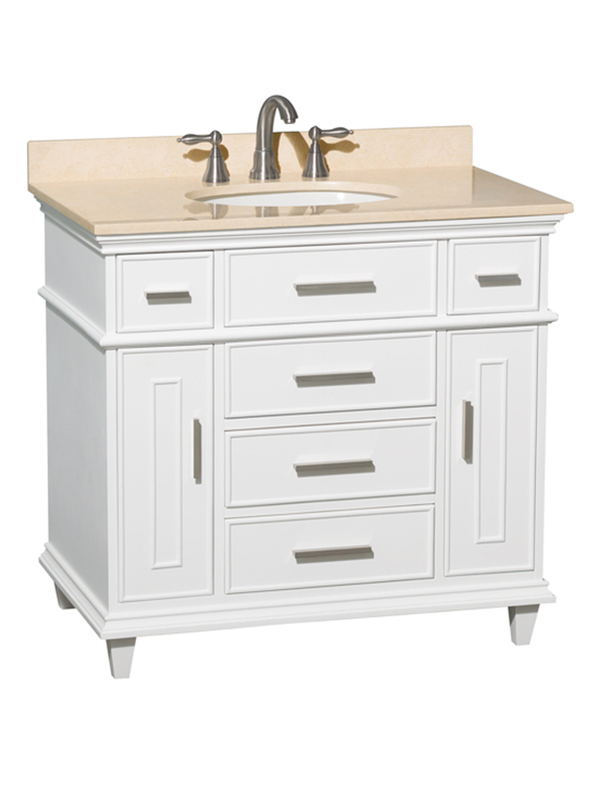 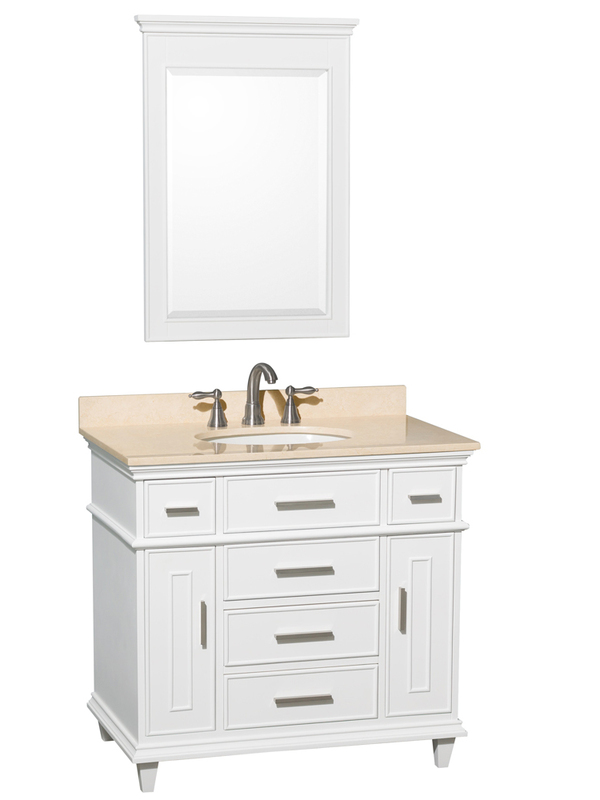 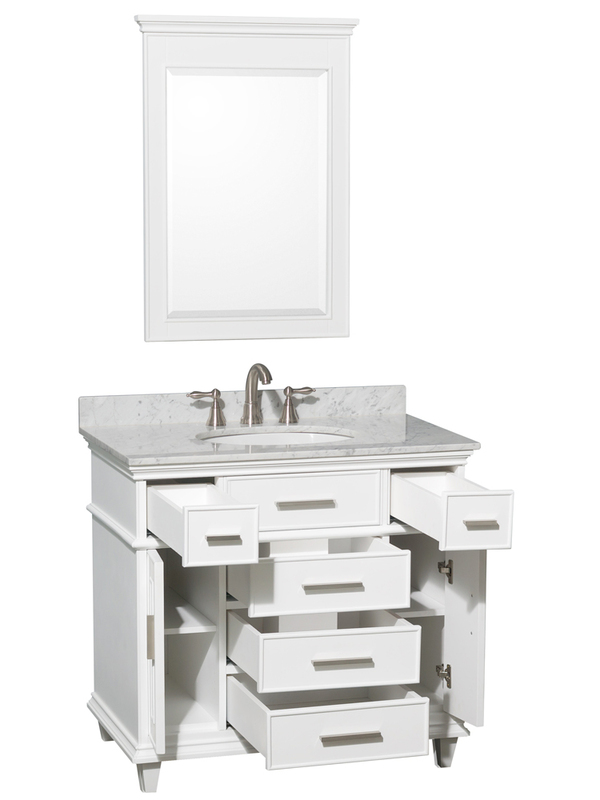 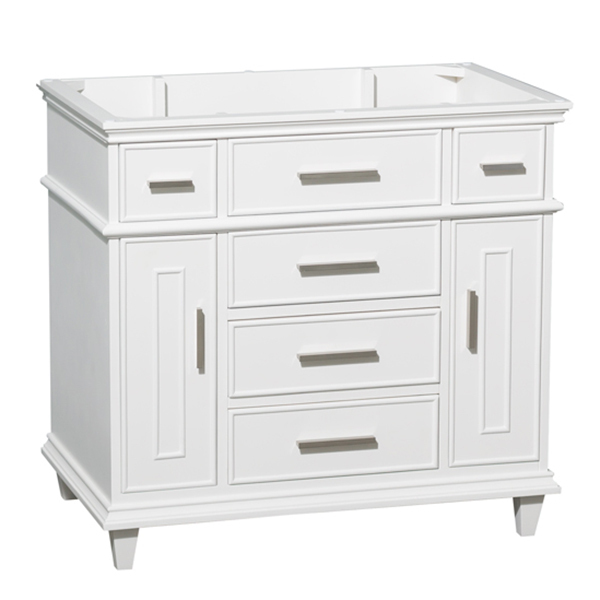 With a crisp, White finish, the 36" Berkeley Single Bath Vanity makes an attractive focal point for your bathroom. 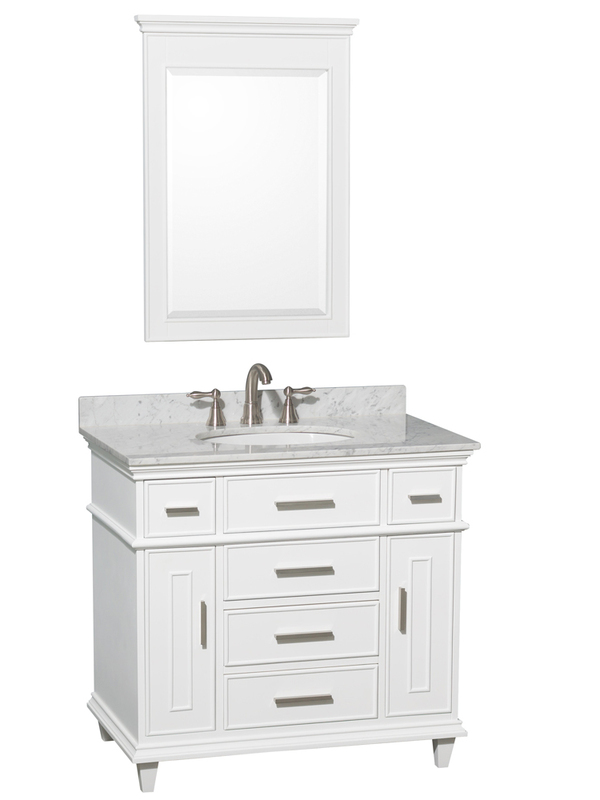 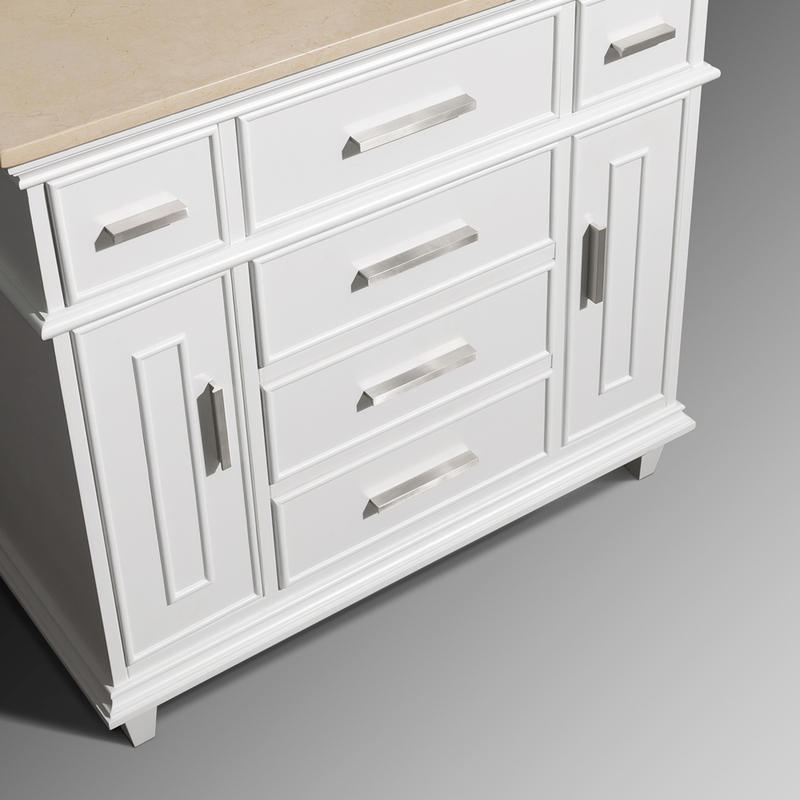 It features a beautiful appeal that includes a sturdy solid birch cabinet with a White finish that is adorned with Brushed Chrome hardware. 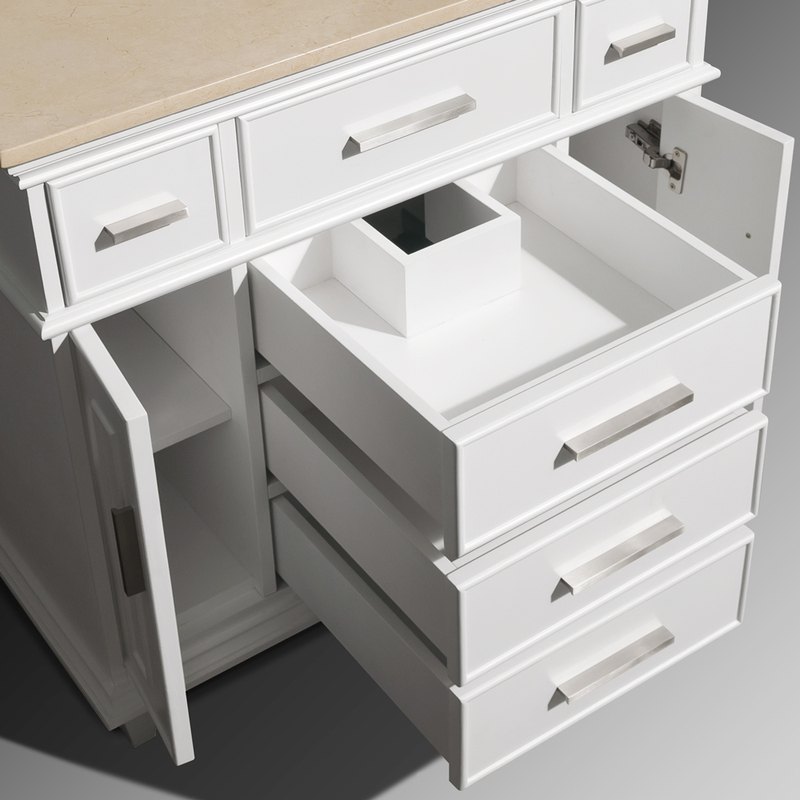 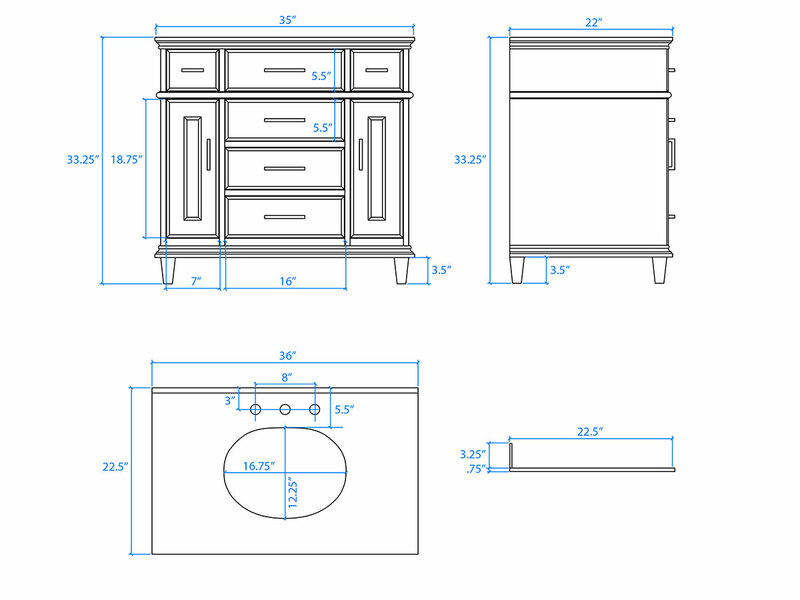 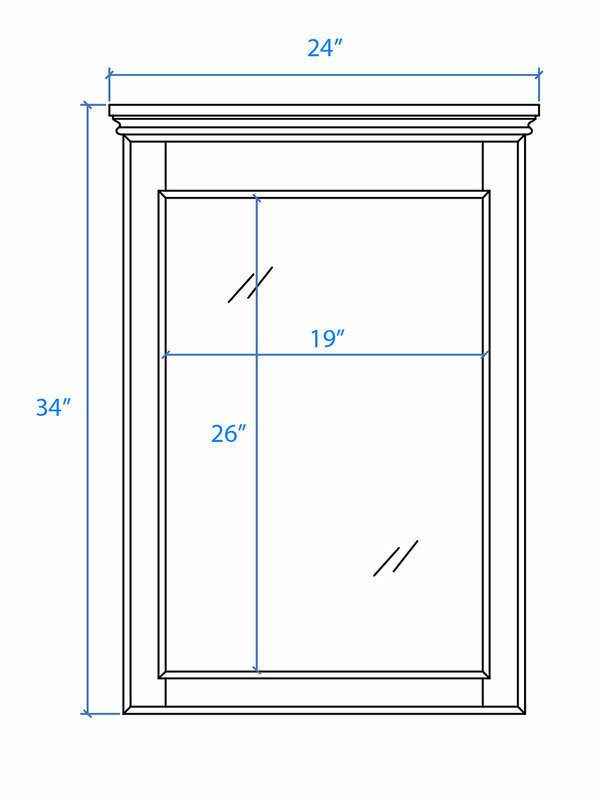 It offers two single-door cabinets, three large central drawers, and two smaller side drawers for plenty of storage space. 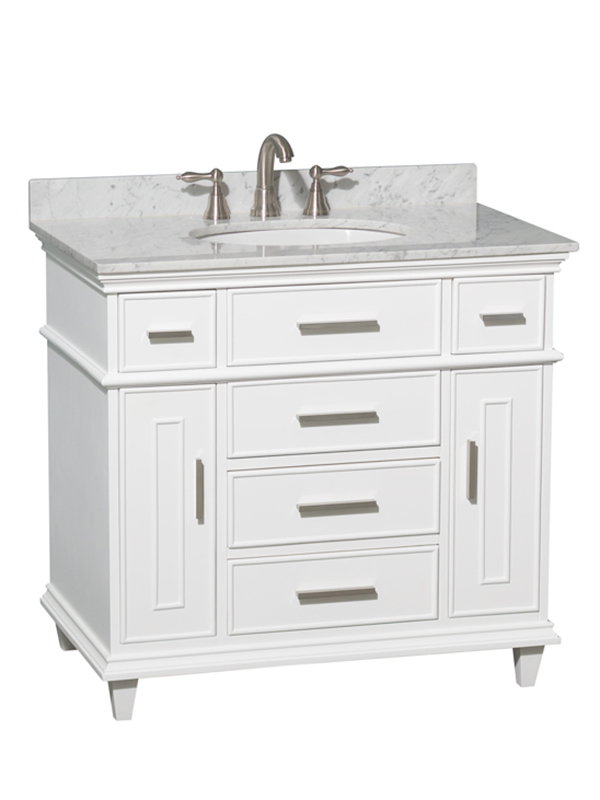 Its top is available in Cream Marble or Italian Carrera White Marble and comes included with a porcelain undermount sink and backsplash. A matching mirror is also available.